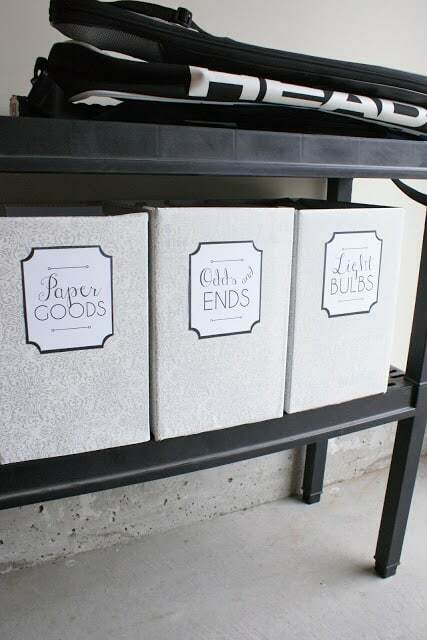 These printable labels are ready for you to get your home organized beautifully. 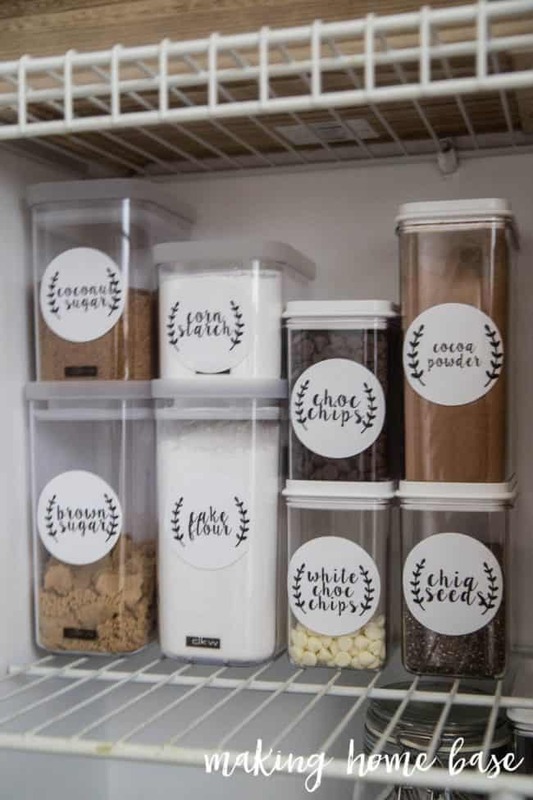 De-clutter and de-stress with all of these fun labels. 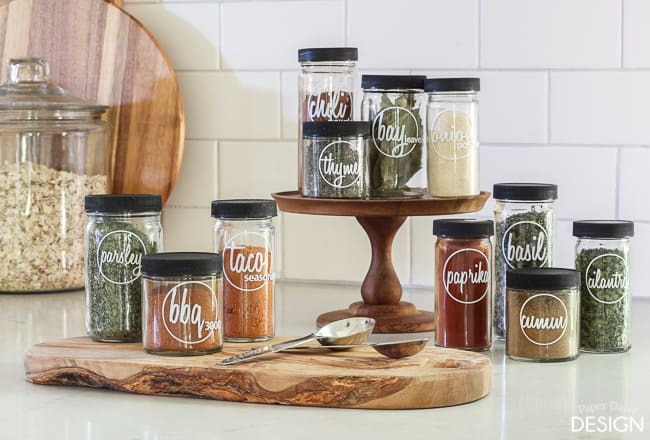 They will help you organize every space of your home — from the entry to the kitchen and everything in between. These free printable labels include blank labels, patterned labels, ones for kids, all sorts of shapes and all sorts of colors. 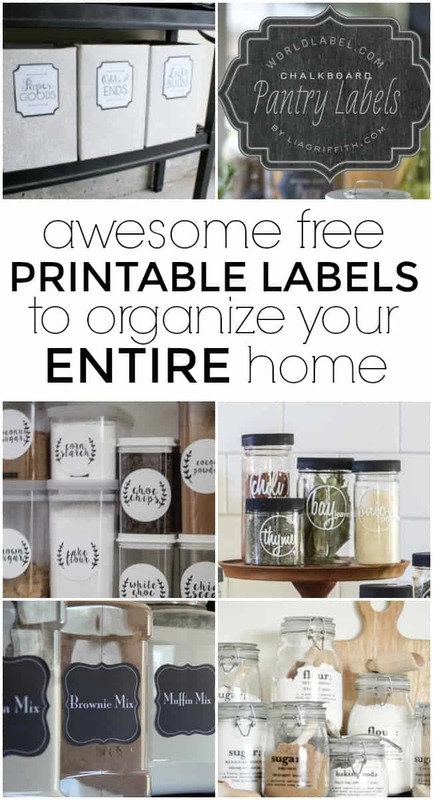 Download these free labels to help you get your home organized and stay organized today. I love how these decal transfers have the dictionary style to them. 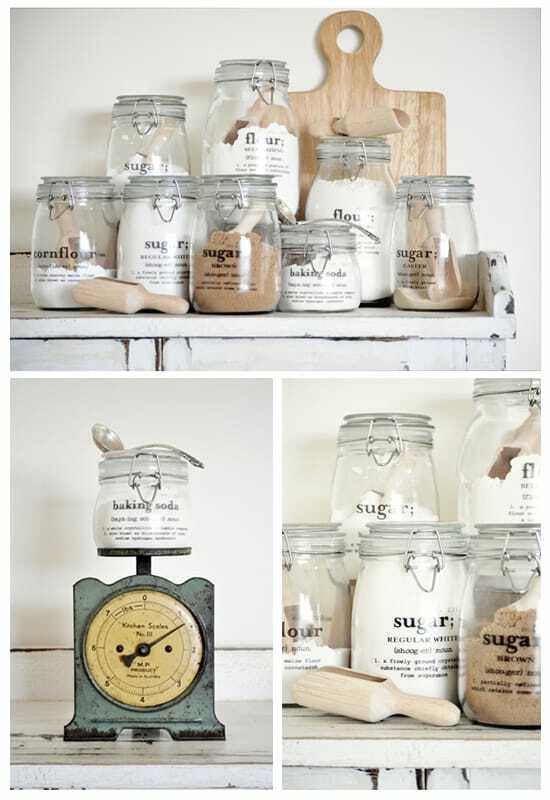 Such a fun and creative way to get your organization on. 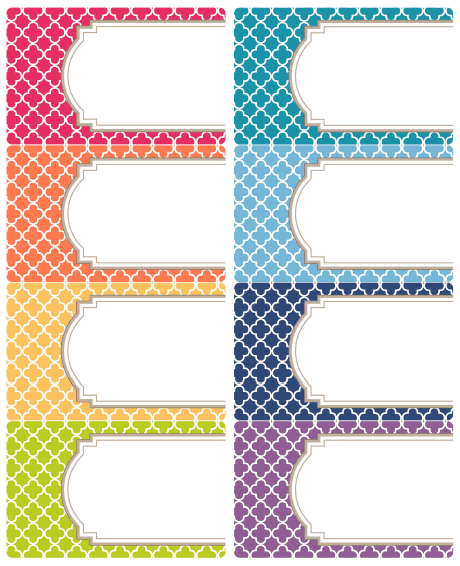 If you love all the color then these Moroccan tiles will be right up your alley. How smart is it to just keep premixed mixes on hand? 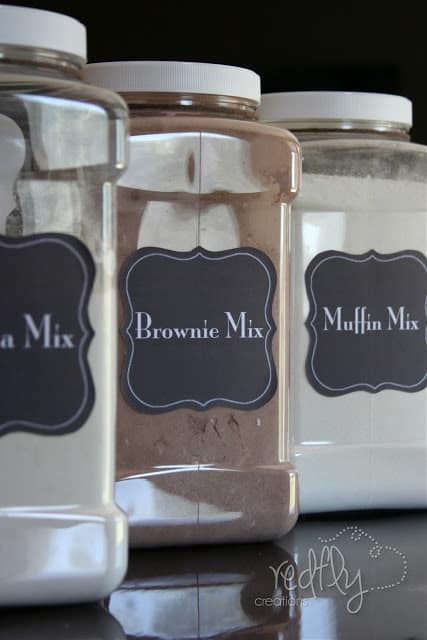 Not only does Red Fly Creations give you the free printables but she also provides the recipes for these mixes. It makes it incredibly simple all the way around. Sometimes garage organization is the last thing we have on our list to do but keeping the garage tidying is just as important. 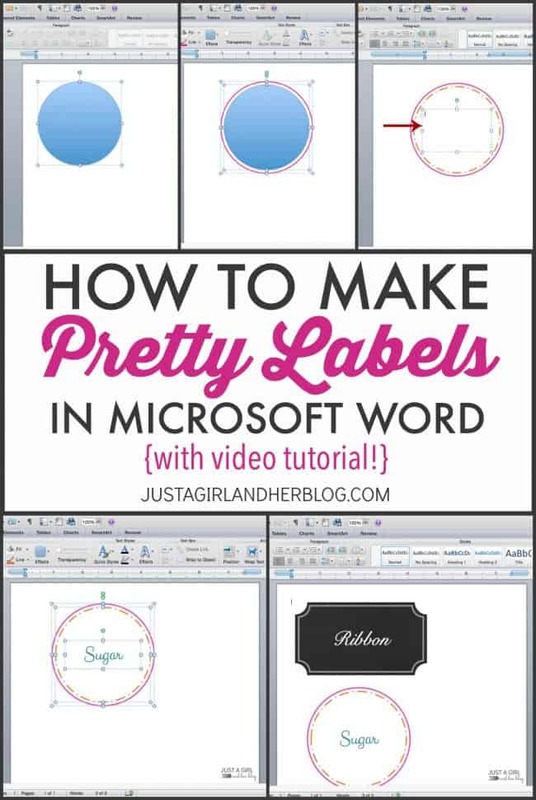 Last but not least, Abby from Just A Girl and Her Blog shows us how to create our own personalized labels using MS Word. I love these! Here are a few things you might like to have on hand when printing these awesome labels. 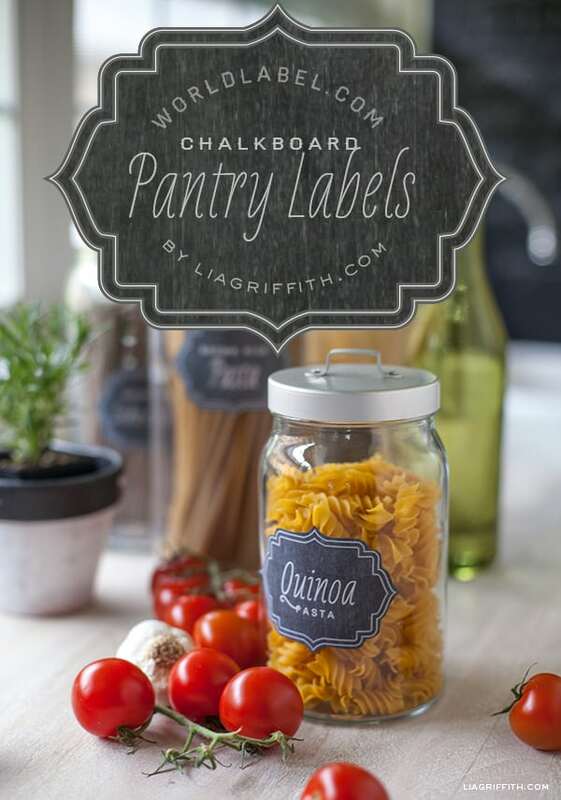 Not interested in DIYing your own printable labels? I found these awesome ones you can purchase.